Okay Real Foodies! It’s time to update your progress if you’ve continued with any aspects of last month’s challenge. We want to know what habits you kept, what you learned, what you’ve changed or how you feel! Let us know what didn’t work or what you would change to keep going. Reply to this post and hopefully your own blogs with your progress by Sunday at midnight. One person will be randomly chosen to receive a year’s subscription to the Ogden Publication magazine of your choice, the publishers of Mother Earth News and Grit. With more and more people gardening for the first times of their lives, so many people are waging war on their soil. STOP! Don’t use that nasty chemical fertilizer. Set it down and slowly step away from the Miracle Grow. That’s it, back up nice and easy. We can teach you how to amend your soil naturally so that you don’t have to use harsh treatments that will burn your garden or run off into your water supply. If you prepare your soil properly and in advance you will save money in the long run and grow a better, healthier, and tastier garden than fertilizers alone can provide (think of all those micronutrients you’ll be adding!). Clovers, winter rye, peas, buckwheat. They all help to amend the dirt you’ll be growing in. Using a cover crop helps to crowd out unwanted weeds and doubles as a green manure when you work it back into the soil, thereby improving the soil composition and structure. They also play host for many beneficial insects, bacteria, and worms. Legumes like clovers, alfalfa, vetch, and peas are nitrogen fixers. Grasses like barleys, oats, and buckwheat can complement legumes. 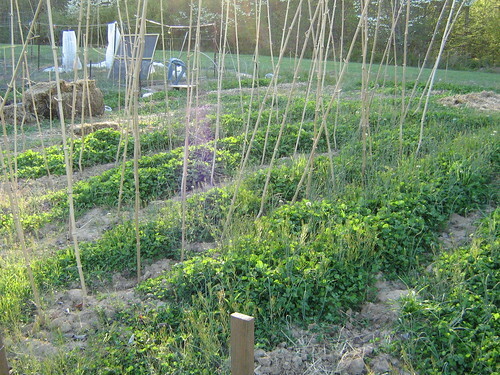 They help to add massive amounts of green manure, loosen topsoil, and help to prevent erosion. Depending on the type of cover crop you use they can be grown between rotations, during the off seasons or as an under-planting. If you have poor soil structure cover crops are one of the best ways to go, and probably THE best if you want to be organic or vegan. They’re not a quick fix however as they require time to grow and then decompose before you can take full advantage of them. You will, however, see immediate results from under-plantings when used instead of mulch; water retention is immensely improved and that nitrogen fixing begins immediately. 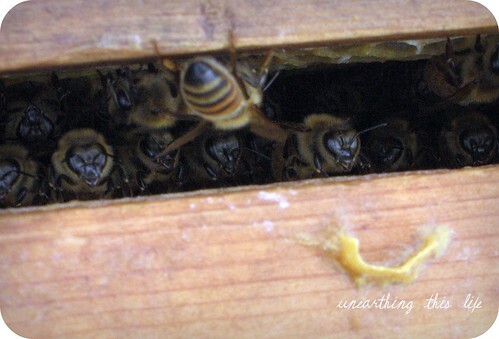 When used during the growing season you’ll see many more pollinators and beneficial insects to help control the nasty bugs that feed on your crops. Don’t forget those extra nutrients they’ll be sharing with your soil! Many seed suppliers are starting to carry more and more types of cover crops. I’ve seen them available through Johnny’s Selected Seeds, Seeds of Change, and Pinetree Garden Seeds to name a few. 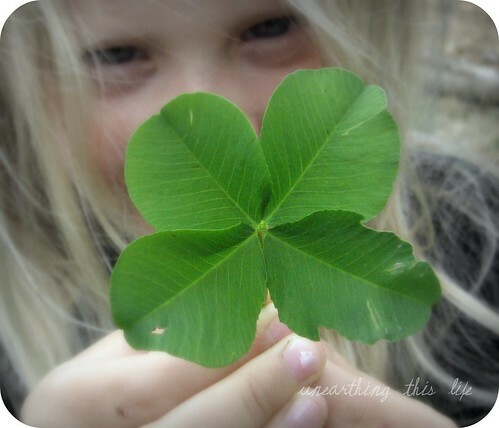 You can also check out your local farmers’ co-op or hunters supply stores for (especially) clovers. While some of these cover crops may attract pests like deer and rabbits, I’ve found I’d rather have them nibbling on my clover than on my okra and peas. They’re going to find the food somehow and I’d rather it be something I’m not going to eat myself – consider it a trap crop of sorts. Over the upcoming weeks I’ll discuss other ways to make amends with your soil including composts, manures, and a few quick fixes. Do you use a cover crop? 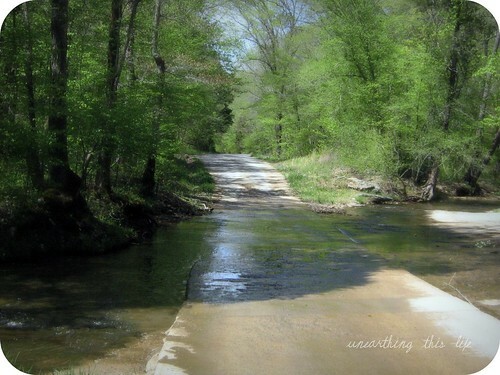 Jennifer (aka whirliegig) can be found over at Unearthing This Life discussing her life in rural America. Here at Chiot’s Run, we love finding foods that we can forage from the wild without having to cultivate them. Each year we learn more and more about wild edible plants and we’re enjoying the nutritional benefits they add to our diet. 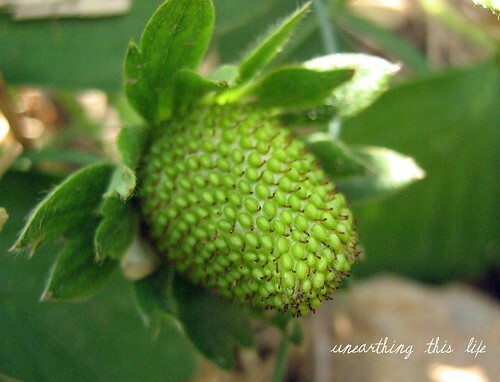 It can be an overwhelming and scary thing to learn about wild foraged food. Knowing what you can and can’t eat from the forest is one of those skills that’s been lost along the way. There are plenty of books you can read and websites where you can learn how to identify free edible wild food (see below for a few that you might find useful). Of course you want to make sure that you’re correct on your plant identification before harvesting and eating something since some plants are poisonous. It’s also wise to harvest and eat just a small amount to make sure someone isn’t allergic to the new wild food. I’d also suggest taking it slow and learning a few new wild foods each year. When you do it this way to learn to properly identify different edible plants during the entire growing season and you can practice cooking and using them medicinally. It can be overwhelming to try to learn them all at once and the information is often forgotten. You also run the risk of making a mistake when harvesting if you’re not 100% percent familiar with what the plants look like during each season. We make it a point to learn a few more wild foods each year. Several years ago we started eating morels that we find and last year we started eating a lot of garlic mustard as well as bittercress. We started using plantain for medicinal purposes and a few other weeds. This year I’m hoping to harvest some nettles for tea. This summer we’ve been enjoying a lot of wild greens and flowers in our spring salads. Since I didn’t get any spinach overwintered, we’ve been relying on garlic mustard, bitter cress, wild violets, and dandelions for our salads. We’ve also been enjoying wild flowers, they really make the salads beautiful (who wouldn’t want to eat one of these salads). The wonderful thing about wild plants is that they’re nutritional powerhouses. This is one of the reasons we started eating more wild foods. 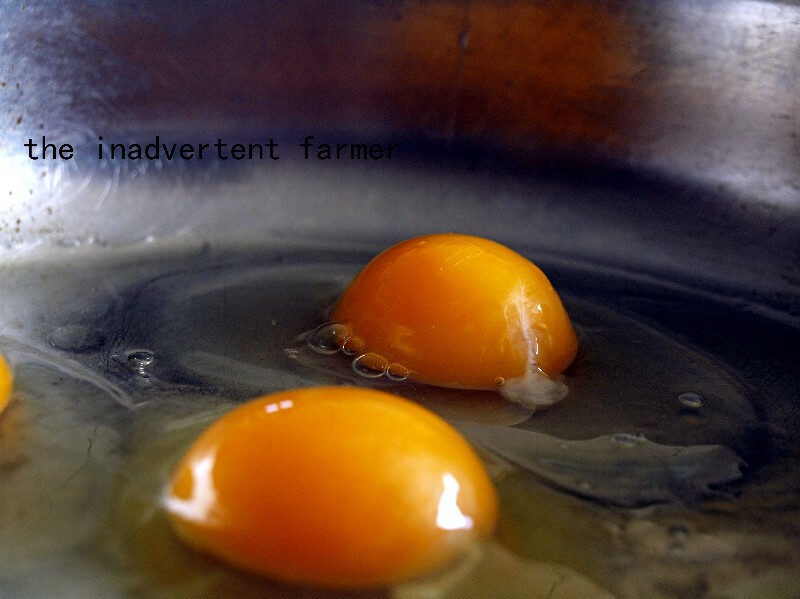 We’re always looking for ways to ramp up the nutritional quality of what we eat. As with plants you grow in your garden you want to make sure the wild plants you harvest are not in an area that is sprayed with pesticides or other chemicals. I’d stay away from plants in ditches along the road as well since they’re most likely covered in exhaust and chemical and salts from the road. I’d also stay away from gathering near large commercial farms since they use lots of chemicals. I found a few nice stands of wild asparagus, but they’re in a ditch right by a field that they spray with sewer sludge, so no wild asparagus on our plates. Do you harvest any foods from the wild? What’s your favorite wild food to eat? Susy can also be found at Chiot’s Run where I blog daily about gardening, cooking, local eating, beekeeping, and all kinds of stuff. You can also find me at Simple, Green, Frugal, Co-op. This week I’ll be talking more in-depth about one of my favorite aspects of sewing – patterns!!! That is the time when I start to dream of my closet being filled with all sorts of beautiful garments. Plus they are a cheap thrill for me when the chain fabric stores have them on sale for $1. Honestly I can’t think of a better way to spend a buck (move over BK dollar menu!!! LOL). 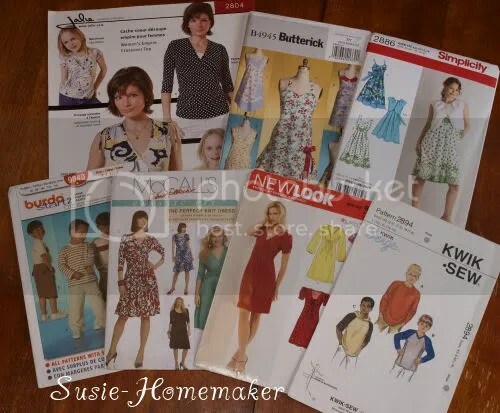 Sewing patterns come in several different formats. The one you’re probably most familiar with are envelope patterns. Envelope pattern are readily available in sewing stores all across the US and Canada. They are found in big cabinets or on racks. To shop for these patterns you can either cozy up with the thick catalog at the store or shop the manufacturer’s website 24/7 (i.e. in your pj’s!). Personally I do both, but I like the catalog better because I’m just a hands on kinda girl that way. 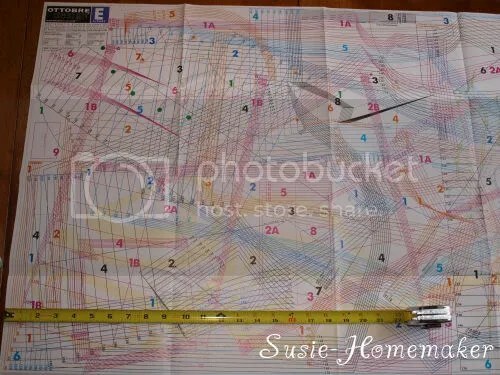 In the above picture you can see a variety of pattern companies who offer “envelope” patterns. When you shop at your local chain (i.e. Joann’s or Hancock Fabrics), typically you’ll find Simplicity, McCalls, Butterick, Vogue, New Look, Kwik Sew, and Burda. Your store might not carry all of them (I think Joann’s doesn’t carry Kwik Sew at any of their stores, but Hancock Fabrics does). Some specialty fabric stores also carry independent patterns such as Jalie (a personal favorite of mine). 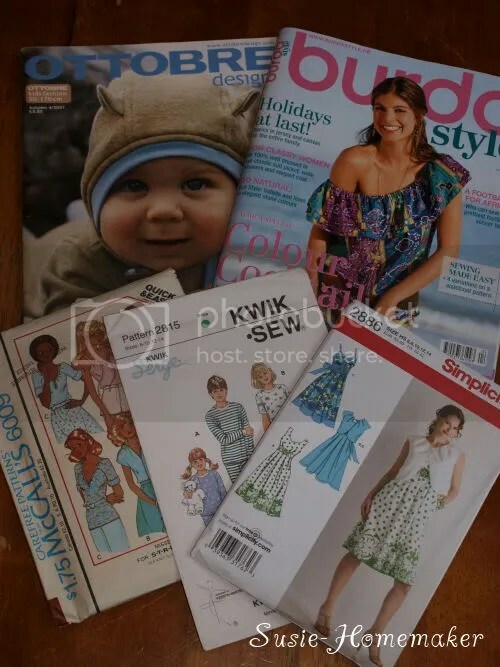 When you purchase an envelope pattern, included in the envelope is the pattern instruction sheets and pattern tissue with all the pattern pieces you’ll need to sew the item(s) shown on the envelope. The envelope itself also contains very important information. 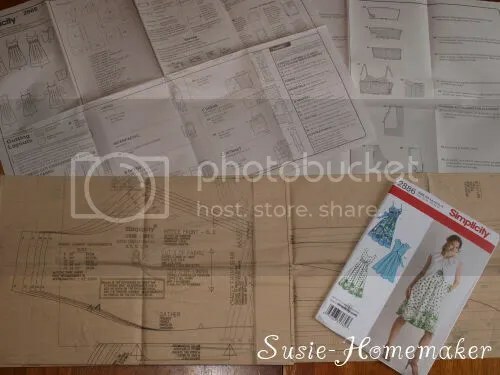 The front has the pattern photo and the back gives you a small line drawing, suggested fabrics, notions you’ll need, amount of fabric needed for the garment for each size, and also finished garment measurements. Lots of very important information you’ll need to know during the sewing process. The pattern instruction sheets are the road map for sewing the pattern. They tell you just about everything you need to know. 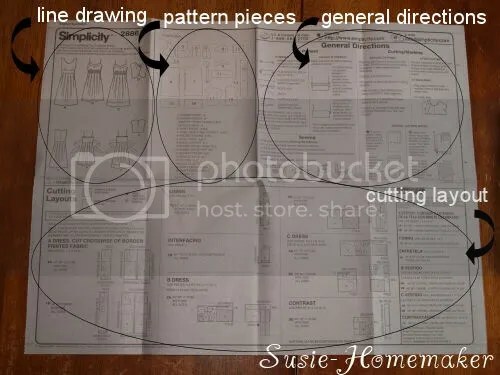 As you can see in the above photo, it shows the line drawing of the garment, what pattern pieces are included on the pattern tissue, the general instructions you’ll need to know for sewing the pattern, a cutting layout to ensure you get all the pattern pieces on your cut of fabric, and then the actual directions for sewing the pattern. Another type of pattern is the downloadable pattern. You can find PDF patterns for all sorts of garment and craft items on Etsy, eBay, blogs, as well as websites such as You Can Make This and Burda Style. The price varies from free to a few dollars per pattern. A search in Google will surely get you started in the right direction. PDF patterns include both the directions and the pattern pieces you’ll need. You print the entire document on your home printer using 8.5″x11″ paper and then tape the pattern pieces together. It’s very easy and something you can download in minutes, however they can consume a lot of paper, tape, and ink if it’s a big pattern. Another thing worth noting is a lot of PDF patterns include color pictures mixed within the directions to walk you through step-by-step. This is a great option for newbie sewers because of the extra directional help. Lastly, another fun option is pattern magazines. 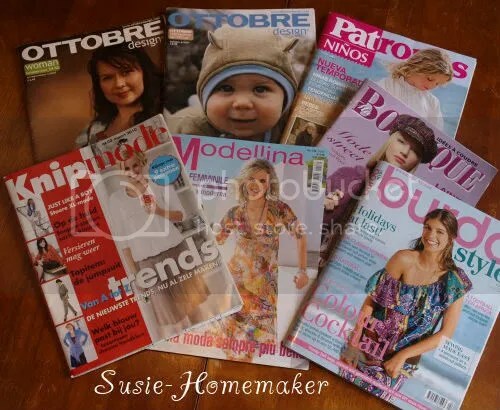 Published all over the globe, these little gems are a fashion magazine with the patterns included! I adore pattern magazines. It’s fun to see the fashion side of things and then know I can make up the garment because the pattern is included in the magazine. Also it’s a fun treat when they are delivered in my mail box. They are more expensive than buying an envelope pattern on sale at the local fabric chain, however each issue includes a hug array of patterns (typically about 40 in most magazines) so the value is much better per pattern. Now you’re probably wondering how all those patterns can fit into one magazine issue. May I present to you, the “road map”! Well actually it’s not a road map, but it sure looks like one. Shown is one side of a double sided pattern sheet – typically there are about four sheets (or eight sides total) included with each magazine. All the colored lines and numbers denote the pattern. It looks very overwhelming and confusing at first, but by the time you finish tracing your first pattern you see it isn’t actually too bad. To trace a pattern you’ll need some sort of tracing medium. I personally use a product called Pattern-Ease found in the interfacing-by-the-yard section of Joann’s, but you can use tissue paper, medical exam paper, drafting paper – basically anything transparent enough you can see through to trace. One last little tidbit, when tracing patterns you have to add seam allowances to the pattern. I remember feeling like this was a pain, but now I prefer being able to decide how large of a seam allowance I want. On a garment using knit fabrics I usually only add 1/4″, but on a garment that uses woven fabrics I add 3/8″-5/8″ depending on what I’m making. A simple ruler will help you do this with ease. In the photo above is an example of what pattern magazine instructions look like. 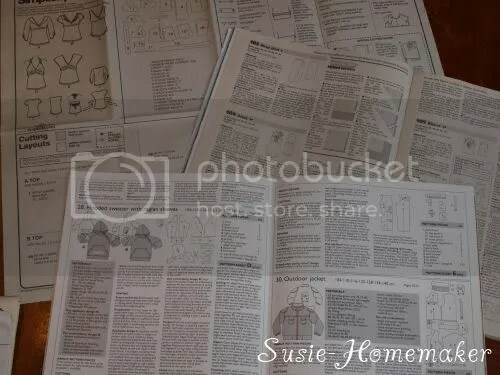 Just like pattern envelopes instructions, they give you all the pertinent information you need to sew the pattern (i.e. type of fabric, how much fabric, notions, what pattern sheet to trace, and written directions to sew the pattern). One downfall for beginning sewers is pattern magazines are only written directions and no pictures to guide you. This can be very hard for some, but with a little practice and starting with a simple garment, you really should have a good sewing experience. This is where your basic sewing book comes in handy too! KRAFT helping promote gardening with Home FARMING? When I was vising the Pioneer Woman’s website last week I saw and advertisement under her home and garden section for ‘home farming’. It is a site sponsored by ‘triscuit’ aka Nabisco aka Kraft Foods. I was curious so I followed the link and went to look around. I was intrigued and joined. They have a community to ask questions and chat with others. They have a section for growing vegetables and posts by experts. You can find the story of Triscuits “from farm to bakery to your table”. POST Cereals: Alpha-Bits, Grape Nuts, Raisin Brans, Banana Nut Crunch, Pebbles, Toasties, Oreo’s, etc. PLANTERS: nuts; also manufactures and markets sauces and condiments, pet snacks, hot cereals, dry mix desserts and gelatins that include such brand names as A.1., Grey Poupon, Milk-Bone, Cream of Wheat, Royal and Knox. So my question is this…What in the world is Kraft, the maker of jello, Miracle Whip, Kool-Aid, and the infamous Kraft Mac & Cheese, doing in the business of promoting home farming? Their products contain non-labeled GMO’s which they have fought to keep hidden from consumers. They have been targeted by the Sierra Club to remove GMO’s from their food. They have had to recall taco shells for GMO’s and have also gotten in trouble with foreign countries for having GMO’s in their products where the country bans them. GMO’s aside KRAFT makes some highly processed foods…velveeta anyone? Is that actually a food? 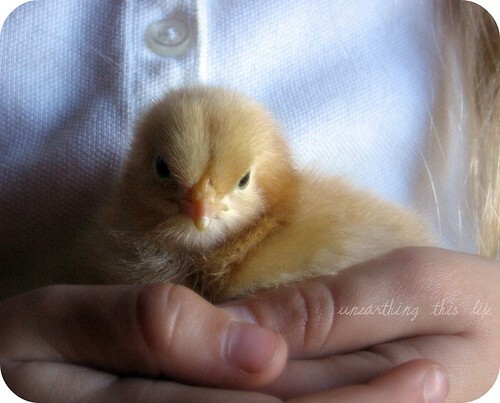 So here is my question…What do you think of a company like KRAFT promoting home farming? Is it worth it to get people interested in gardening? Or does the fact that KRAFT does not label its food honestly and makes a lot of nutritionally questionable foods make its site just a hollow publicity stunt? And can even hollow publicity stunts make a difference for good? Kim can also be found at the inadvertent farmer where she raises organic fruits, veggies, critter, kids, and…a camel! Springtime is a flurry of activity in most areas of the world. It’s time to plant, weed, harvest, amend, clean, and so much more. 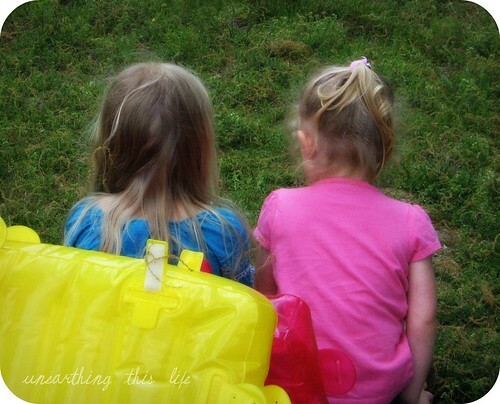 Here are some photos showing what we’re all up to here in our respective lives. Here are Chiot’s Run it’s a busy time. This time of year I start to make a concerted effort to start cleaning out the pantry. 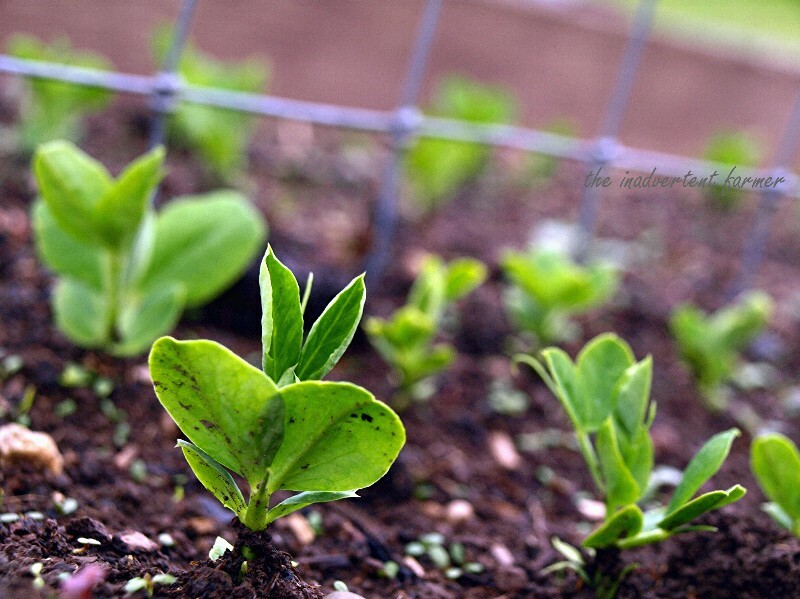 It’s time to eat up things and make room for the new harvests from this gardening season. I’ve been cooking up a storm using up most of the canned tomatoes, frozen berries, pickles, relishes and everything else. The jars start to line up beside the sink, ready to be carried to the basement to be stashed in their respective boxes. They’ll soon be brought back up, scrubbed again, scalded and refilled with delicious summer bounty. I’ve making lasagna, chili and other meals that are quick to heat up. This saves me time on these busy spring days and helps clean out the pantry. Spring cleaning is also happening, washing the curtains and hanging them out in the sun to dry and bleach out. Scrubbing down the light fixtures, cleaning the windows and putting the screens back in. It’s also a busy time in the garden, with seed starting, planting, amending the soil and harvesting the early vegetables. Kim here…we’ve been busy here doing some major projects. One of my college aged sons has graduated and while he looks for a job I now have help for some building projects! 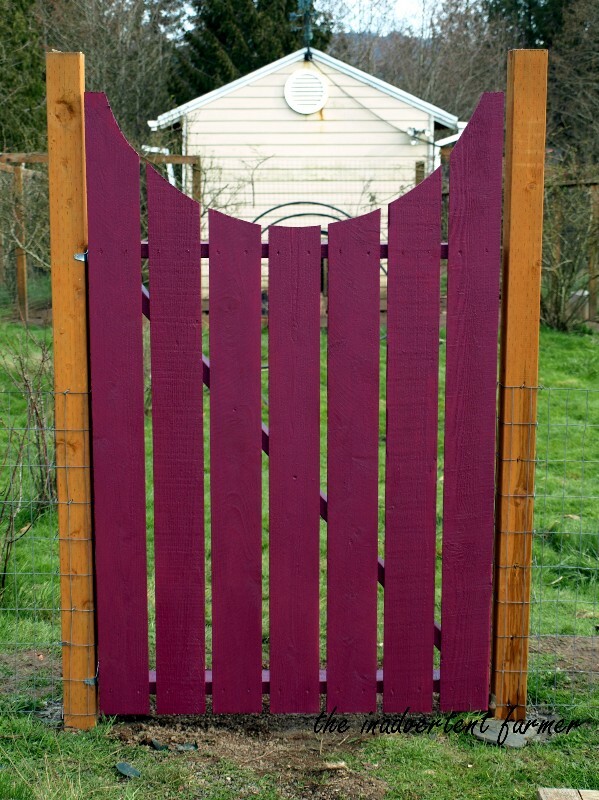 We have built two more gates like this…3 more to go! We have also hauled gravel and will start a new kiwi arbor next week. Now that the chickens are laying full force again this year we are trying to come up with interesting ways to use them! 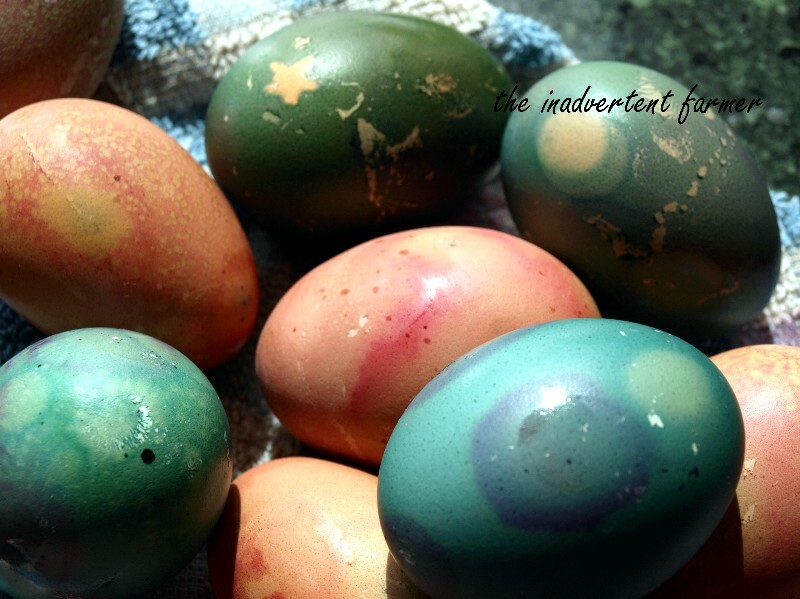 The kids loved dying eggs so much for Easter we have done it twice since! The pink are dyed with beets and the blue and green with red cabbage! Of course the garden needs to be tended with weeds, slugs, and mice kept at bay! But mostly I’m trying to remember to kick back and enjoy this season of renewal! And it’s Jennifer! I have been so unbelievably busy that I almost have a hard time stopping to think about all we’ve accomplished! Only to be topped off with friends and family! 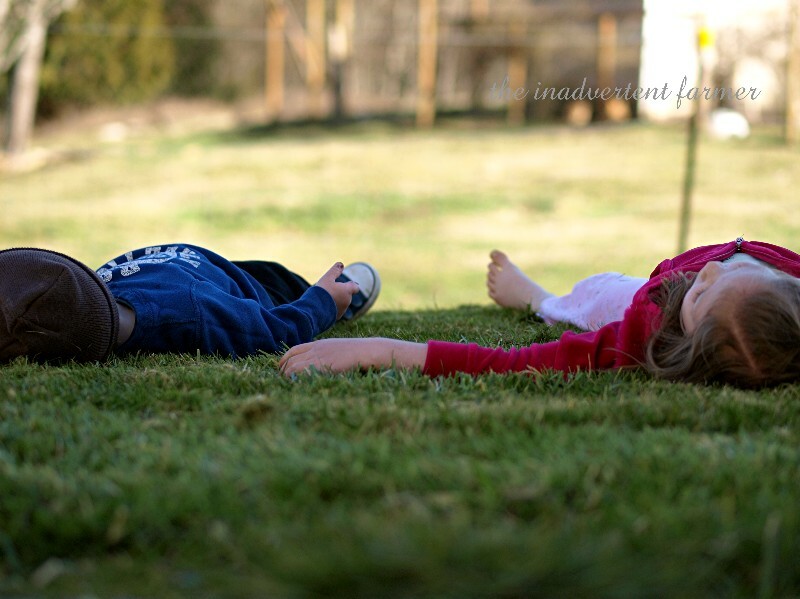 What activities are filling your days this spring? Sometimes its just nice to get everything done early in the day so you can go out and play in the garden without having to back in the house to check on things all the time. 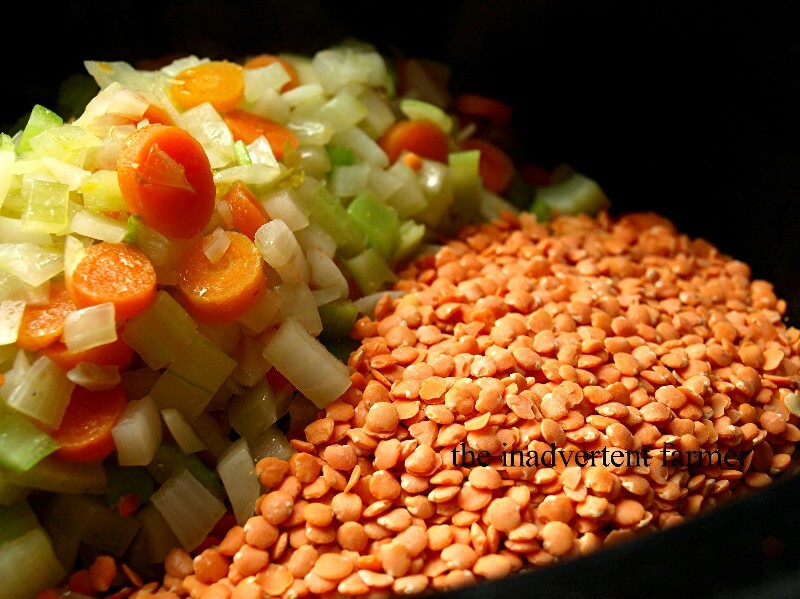 Put veggies into slow cooker with broth and red lentils, stir. We usually serve this with baked rice…most of the time over the top of baked rice!